Here's an easy pink and red craft in time for Valentine's Day! Our Valentine's Foam Heart Sticker Mosaic is festive and it works on strengthening fine motor muscles. If stickers are a little too hard for your child, check out a similar activity we did during exploring the letter H in Tot School.. The foam heart sticker mosaic is easy to put together and adds a lovely Valentine touch to our decor, and actually is the only Valentine's Day decoration we have up right now! I picked up the conversation heart stickers in the Target Dollar Spot and since I was there, picked up some cheap-o frames, but you could certainly forgo the frame and just use construction paper as your background. First, I drew an outline of a heart on construction paper. Then, I had my 6 year old and 2 year old pick out the stickers of their choice to fill in the heart. 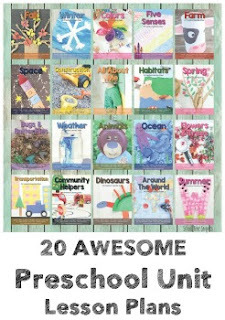 Stickers of any kind are fun to play with and are great for fine motor skills. Peeling off the background takes concentration, finger strength, and use of the pincer grasp; it's a great work-out for little fingers. My 6 year old decided to create a pattern of colors to fill in his heart. Little Sis was more sporadic and didn't complete the whole heart. I joined in the fun and finished it for her! Although I did want them to make a heart shape, each one is unique and loved. 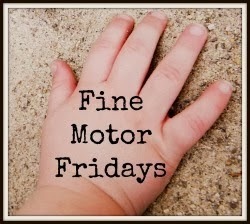 This activity is part of a weekly series, Fine Motor Fridays co-hosted by many other fabulous bloggers; check out what they in store for you this week!